The next governor of California will have two primary responsibilities: uphold economic productivity and lay the foundation for a more prosperous California. And he could accomplish both in one fell swoop — by setting ambitious higher education goals. The connection between economic prosperity and higher education is clear and simple. Nearly two-thirds of new jobs created in California over the next decade will require a post-high school education. Yet, the 23-campus California State University system turned away 31,000 qualified applicants in 2017 alone. And gaining admission to University of California campuses is becoming more and more competitive. In addition, too many of our students are not educationally ready when they arrive to college, and they are not prepared for the workplace after college. They take too long to graduate, and take on too much debt. Too few who attend community college transfer to a four-year institution. All of these problems are well-known, but past measures have been modest. To truly make California a prosperous state, the new governor must set transformative goals. He must spearhead a plan that ensures college hopefuls are college-ready upon graduation from high school. He must allow community college students to transfer seamlessly to four-year institutions. And he must enable bachelor’s degree candidates to graduate within six years, ready for the job market and unburdened by crippling debt. Guarantee free tuition to a two- or four-year public institution to all eighth graders who qualify for the free or reduced-lunch program — so long as they graduate on time from high school with a standard diploma and enroll full-time within two years of high school graduation. This guarantee exists now for low-income students, but only after they graduate from high school. Moving the promise up to eighth grade will give students and their families motivation to work toward this significant goal. Give all high school students the opportunity to earn at least 12 units of college credit — by Advanced Placement, International Baccalaureate, or concurrent enrollment at an accredited college — prior to high school graduation. Students who have these credits are more likely to attend college, do better once they get there, and graduate on time, freeing space for new students. Provide summer seminars for all high school students who do not have reading, writing or math skills at grade level, beginning in ninth grade. Research by the Brookings Institution shows that low-income students experience higher levels of learning loss than their peers during the summer and that academic “boot camps” built on established best practices considerably improve learning. In contrast to summer school classes, these high school seminars would be mandatory. The goal is to have fewer students who need remedial classes once they get to college, thereby shortening time-to-degree and freeing capacity in California colleges and universities. Merge the California Community College and California State University systems. There’s a simple way to fix our abysmal transfer rates from community colleges to four-year institutions: Eliminate the need for students to transfer. While a select number of institutions focused on immediate career-training can remain two-year institutions, students in most community colleges should be considered CSU underclassmen and women, whose coursework automatically counts toward a CSU degree. Students would still have the option to earn a two-year associate’s degree, but the assumption would be that they continue on to their junior year at a CSU. Regardless of which degree they choose, students would graduate more quickly, clearing the way for new students to enroll. Create a common data system. Basic data, such as where students apply to college and where they ultimately enroll, are not just useful but absolutely necessary to improve our educational system. One should not need to be Sherlock Holmes to find out what happens to students after they drop out of a high school. However, that is the case today on too many educational issues. Create a statewide postsecondary coordinating council. There is no systematic mechanism where the public and private colleges and universities work with one another. This situation contributes to confusion and decreased student outcomes. For example, students transferring between public and private institutions frequently lose credit for completed coursework simply because articulation agreements are not in place. A statewide coordinating council would provide a mechanism where all postsecondary institutions could discuss common concerns and possible solutions. Can we afford to pursue such big initiatives? We can’t afford not to. With a more highly-skilled citizenry, our tax base will increase, voter and civic participation will go up, and the economy remains globally competitive. A bold higher education strategy will enable not only young people to achieve their dreams, but the new governor to achieve his goals for a more competitive California. 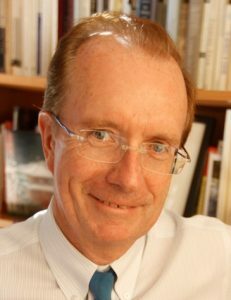 William G. Tierney is university professor and Wilbur-Kieffer Professor of Higher Education in the USC Rossier School of Education and the co-director of the Pullias Center for Higher Education. Super interesting ideas here. I think it would be tremendously helpful for high schools to have data on how their students fare in college and maybe lead to some ideas to better support kids to be successful in that next step. I’m intrigued by the idea of connecting the community colleges and the CSU system. I suspect making them all one system would not really work out in the end, particularly because the community colleges serve in part a different population than CSU, people who aren’t intending to get a four year degree, and that mission should not be subsumed. But I think one rather doable goal would be to surface up all the existing online course offerings in the CSU and community college systems and make them generally available regardless of location, and to high school students also. Enrollment limits will still need to apply, but one thing you might learn is that there unexpected demand for some classes if you pool the larger state population together. These classes could ease some of the logistical issues that happen now because of scheduling constraints and location that sometimes prevent kids from graduating on time or from getting the classes they need to take the upper division classes they want. The ability to combine transcripts from CSU and the community college system already exists, so this should be a fairly incremental step. What an outstanding set of ideas for the future direction of public education in CA! As a former, second-career mathematics teacher with nearly a decade in secondary classrooms, whose first career spanned over two decades in tech, I know a great set of objectives when I see one. While the difficulty of success for any broad initiative is always in the details, this editorial provides a phenomenal starting point upon which to build a comprehensive plan for the education of our current and next generation of Californians! 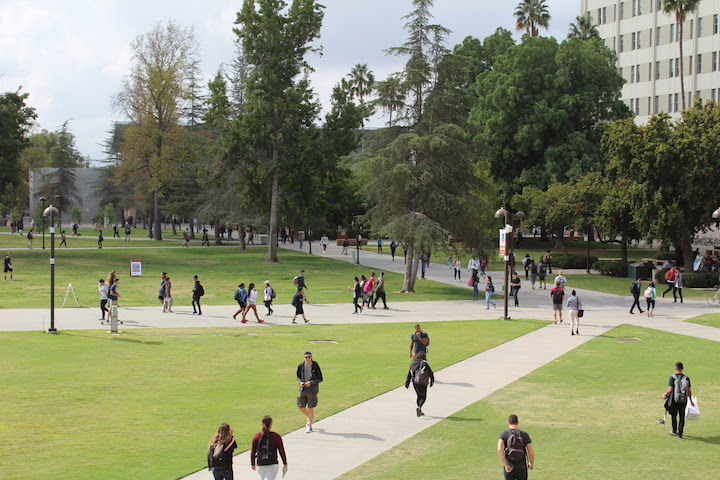 One of the boldest ideas from Dr. Tierney to increase the abysmal transfer rate from community colleges to the CSU is to eliminate the need to transfer if California were to “Merge the California Community College and California State University systems.” Ideally, this would reduce the red tape and barriers that often inhibit students from progressing in their higher education. The model proposed is not unlike that at City University of New York (CUNY), where there are both community colleges and senior colleges all under one roof. However, as a former administrator at CUNY, my observations were that things don’t always run so smoothly. When the CUNY Chancellor tried to initiate a common general education requirement to integrate the curriculum across colleges and replace incompatible institutional requirements (called CUNY “Pathways”), there was great resistance from faculty. Each institution believed that their curriculum was “best” and a common core would “dumb down” academic rigor. Dr. Tierney’s proposal is bold; bolder still would be the will to do it and leaders with the political capital to risk the fight.